Is it in our nature to be altruistic, or evil, to make art, use tools, or create language? Is it in our nature to think in any particular way? For Daniel L. Everett, the answer is a resounding no: it isn’t in our nature to do any of these things because human nature does not exist—at least not as we usually think of it. Flying in the face of major trends in Evolutionary Psychology and related fields, he offers a provocative and compelling argument in this book that the only thing humans are hardwired for is freedom: freedom from evolutionary instinct and freedom to adapt to a variety of environmental and cultural contexts. The result is fascinating portrait of the “dark matter of the mind,” one that shows that our greatest evolutionary adaptation is adaptability itself. "Everett takes us through the history of philosophy to show variations on those two themes as elaborated by the famous philosophers of the Western intellectual tradition, ending with his basically Aristotelian view, in contrast to the Chomskyan theory of innate structures and universal grammar. In the process, he challenges Freud’s theory of the unconscious, Jung’s archetypes, Bastien’s psychic unity of man, Joseph Campbell’s monomyth, and other variations on that theme. . . . What he says about this broad and multifaceted scope of human behavior is interesting and informative, and can be profitably read by anthropologists in all four fields of the discipline." "Everett begins by offering a fascinating argument: the only source of human learning is the individual—not in the mind, not in the brain, not in societies. 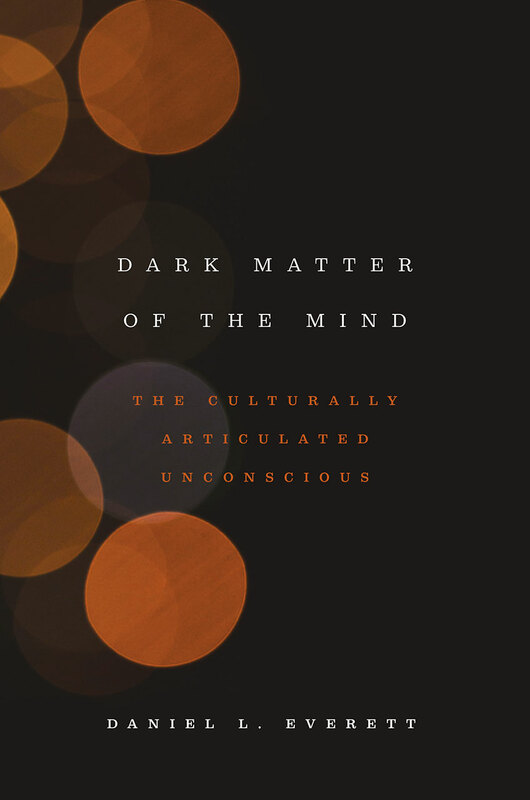 Further, most of this learning is transmitted through “culturally articulated dark matter,” which he defines as “any knowledge … that is unspoken in normal circumstances, usually unarticulated even to ourselves.” From this, Everett lays out his thesis in three parts: the human unconscious may be classified into “the unspoken and the ineffable”; this unconscious is influenced by the interaction of human perception and “a ranked-value, linguistic-based model of culture”; and that “learning as cultural beings” affects human thought and identity. Everett argues for and develops his thesis and its consequences in the remainder of the book. He makes a strong argument and brings in a wide-range of interesting anthropological case studies along the way. Recommended."